Keeping track of your movements while handling a trained Search and Rescue dog can be challenging, particularly in unfamiliar territory. 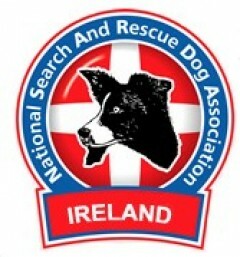 Kerry-based Catherine Kelly, a volunteer Search Dog Handler at the Search and Rescue Dog Association (SARDA) Ireland, talks about training dogs for SARDA, the difficulties of working in the field and knowing exactly where she and her dog Lilly are on a call out, as well as how they overcome these problems with ViewRanger, a free GPS tracking and mapping app for your smartphone. Catherine explains: “When we get ‘the call’ that there is a missing person, it is completely out of the blue. I’ll already have a bag packed which contains all the things Lilly and I need for a long day and night out searching for someone. “When we arrive we are given a search area and sometimes a navigator who is familiar with the terrain. We are of course fully trained to use paper maps, but if we haven’t got a navigator with us it is sometimes difficult to pay Lilly full attention and constantly know our exact location”. 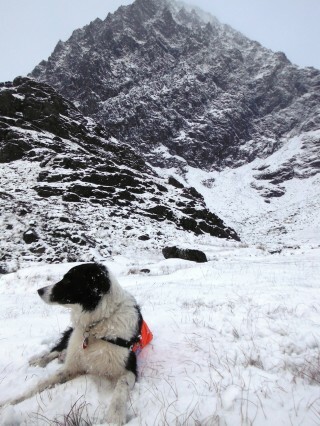 For added reassurance, Catherine has been using the ViewRanger app. It uses her smartphone’s built-in GPS software to track her route. This function does not require a mobile phone signal meaning the app works in even the most remote parts of the country. “When it is dark, it’s particularly useful to have an illuminated screen showing a map and exactly where I am. I can just quickly grab it from my pocket and double check we are covering the right area. “Once we have searched one area we will relay that information back to base and they will give us a new area to search. Before a handler and their dog can go on call outs they must complete an extensive training programme. 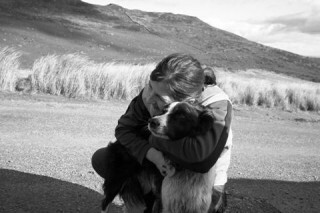 Catherine explains: “It takes between two and three years to fully train a dog to work with SARDA. We start the training when the dogs are young and have a strong play drive. Straight away we teach them obedience, and to bark on command. “To teach the dogs to search for a human’s scent, we start off with someone hiding with the dog’s favourite toy. At first the person isn’t very far away, upwind of the dog, but gradually they move further away. The dog eventually learns to associate finding a human scent with a reward such as their favourite toy. “When we are assessing dogs and their handlers, we use ViewRanger’s Point of Interest feature. It allows us to enter the exact location we want someone to hide, which can be shared amongst the assessors. We use the Ordnance Survey mapping on the ViewRanger app to identify problematic terrain in the area, which tests the dogs and handlers further. 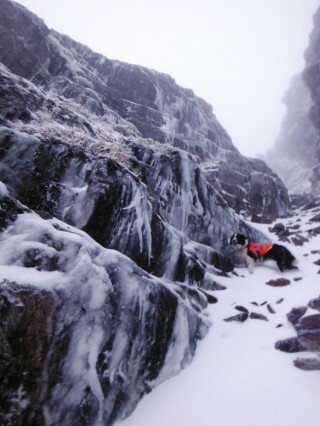 Craig Wareham, co-founder of ViewRanger, helped to establish the Voluntary Search and Rescue (VSAR) programme. In partnership with Ordnance SurveyIreland, ViewRanger delivers the app, plus detailed Ordnance Survey mapping to members of accredited voluntary rescue teams. Craig says: “There are currently 12 search and rescue teams using ViewRanger in Ireland, including Mountain Rescue and the Coast Guard as well as SARDA Ireland. Overall there are more than 150 teams in the UK, Ireland and overseas on the VSAR programme. The award-winning ViewRanger app delivers GPS navigation, topographic mapping and guided routes to outdoors enthusiasts worldwide. It is free to download and includes Open Source mapping. Ordnance Survey maps can be purchased for a small additional fee.